In light of the awful terror attack in London I decided to take time to share with you some knowledge. It is not about Israel, it’s about the huge danger in your concentration in the wrong things. It’s about the whole world. I will start with the subject of religion. Islam differs from Judaism in many aspects. One of them is Islamic endless attempt to force its religion on peoples of the world. Judaism, on the contrary, is very ”closed”. Some Islamic people dream about and pray for Islam in the whole world. But others take it too far and do it violently. There is a group of Islamic extremists all around Europe (and other parts of the world), who enlarge their group by brainwashing other people. They violently and strategically plan to destroy democracy in the whole Europe and the rest of the world (because ”People can’t decide about rules, only Allah can”). They pray outside, in front of you in order to provoke you. They organize noisy demonstrations against your government and from time to time kill people in the name of their God while behind closed doors plan bigger and dangerous operations and train their Shahids. Shahids claim, by the way, that they symbolically kill people to revenge the Muslim deaths. However, they kill themselves for different reasons (such as ”family honour” Shia Islam vs. Sunni Islam, bad life conditions because of dictators etc.) AND they live in the Western world because it is a better place. On the other hand, there are many very normal and even nice, smart and contributing Muslims who silently believe in what they believe and live their normal lives in Europe. Some of them openly support Israel. But they put their lives in danger for doing it. Anyway, look at the Europeans now. They are busy with the wrong things. Under their noses, groups of people try to destroy their world and force on them something that is completely opposite from democracy and freedom (although I don’t understand the reason). Why destroy a better world? Just go back to where you came from. But there is always this stupid war because of religion and MISINFORMATION (misinformation they get and misinformation you get). Israel is a ”better place” in the Middle East. Israelis live with Muslims in peace in Israel. Maybe we are not big lovers, but neighbours. Very near our cities there are areas with such groups of Islamic extremists, who plan to destroy us, the only democracy in the Middle East, where Muslims are the most free. The extremists do everything for it. It happened so that they rule the civilians in these areas and hide in hospitals and schools. They use children as live shields for YOU to give legitimacy for their actions. They value death over life. There are times when they succeed breaking into our cities and kill people in the name of Allah. 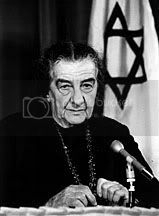 There are disgusting events you probably never heard about, or heard but were sure Israelis were the ones who were responsible for it. These extremists broke into houses and killed whole families with tiny children, using knifes. On the other occasions they bombed buses or shot at bypassing cars. And for more than 10 years have been bombing us with rockets. The IDF don’t even kill these terrorists, but put them in jail in good conditions. We heal them with our money. Why? Because our belief says that only God can take life, and man cannot do that. It’s part of our mentality. But there are occasions when there is no other choice but to protect ourselves. Just learn more about the truth in Israel, Middle East and even Europe to be able to face real big dangers in this world. P.S. In my family there are Christians, Jews and Muslims. I was raised as both Christian and Jewish and married a man with Jewish – Muslim – Christian roots and we all believe in humanity. Israel is a Holy place for me because I live among people who believe in life, in family and in education. I live amongst people with the same mentality as mine – a unique one for Israel. Growing up in a Muslim community in the UK I was exposed to materials condemning Israel, painting Jews as usurpers and murderers. 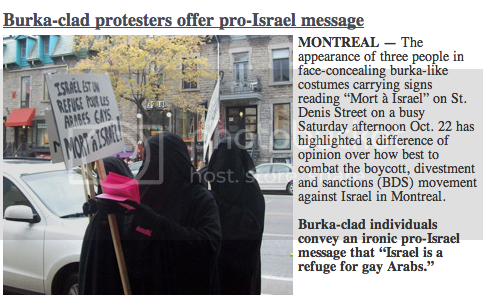 My views were reinforced when I attended Nakba Day rallies where speakers predicted Israel’s demise. My hate for Israel and for the Jews was fuelled by images of death and destruction, set to the backdrop of Arabic melodies about Jihad and speeches of Hizbollah leader Hasan Nasrallah or Osama Bin Laden. I decided to visit Israel to find the truth. I was confronted by synagogues, mosques and churches, by Jews and Arabs living together, by minorities playing huge parts in all areas of Israeli life, from the military to the judiciary. It was shocking and eye-opening. This wasn’t the evil Zionist Israel that I had been told about. After much soul searching, I knew what I had once believed was wrong. I had to stand with Israel, with this tiny nation, free, democratic, making huge strides in medicine, research and development, yet the victim of the same lies and hatred that nearly consumed me. Please read: From antisemite to Zionist. ”Död åt judarna” på Paris gator. Och för att gosa med denne snubbe, och hans lika fräsiga polare, reser ivriga svenska Ship to Gaza-huliganer. Så mycket hatar de Israel, att de gärna offrar sig själva och de sina. Den som försvarar västvärldens värderingar har i allt högre grad kommit att karakteriseras som högerpopulist. Kritik mot islamister har åtminstone i Sverige försetts med en allmänt accepterad sjukdomsbeteckning, vilken numera i allt högre grad kommit att omfatta även människor som tar Israels parti i Mellanösternfrågan. Antisemitismen kan därmed breda ut sig mer oproblematiskt vilket också är fallet. Läs: Elfte september och sorgen. Själv kallar jag mig humanist. Och feminist. Och ja, homosexuell (utan dödslängtan). Och jag förstår inte det eviga daltandet, gullandet och blundandet. Jag diggar islam lika mycket som jag diggar tennis. Men jag tänker inte vara nån jävla bollkalle. Kolla också detta klipp. ”It came out of my mouth but it was taken out of context.” GÄSP. Brasklapp (vi befinner oss trots allt i Sverige): jag diggar inte katolicismen heller.